Bill Mignon has been a resident of St. Johns County for the past 55 years, attending local schools and graduating from Ketterlinus High School in 1955. He received his BAE and MAE degrees from the University of Florida. He is currently employed by Flagler College as a supervisor for interns in the Education Department. He has one son, Pat, and one daughter, Michele. His teaching experience includes all levels of primary and secondary education. Bill has served as principal for St. Augustine Technical Center, R.B. Hunt Elementary School, Allen D. Nease and Pedro Menendez High Schools. Mr. Mignon has 34 years of military experience, and in 1991, he served with the U.S. Army in the Desert Shield/Storm campaign. Bill has always been involved in youth and community service organizations such as the National Honor Society, Key Club, Cub Scouts-Osceola District, and as a Kiwanian, his projects aided handicapped youth and included youth crime prevention. He has also been very active in professional and civic affairs; he was a past member of the St. Augustine Jaycees, St. Augustine Toastmasters, Matanzas Bay Club, and past President of the St. Augustine Kiwanis Club. He was recently elected to the Board of Directors of the Florida School Boards Association, serves as Chairman of the Northeast Florida School Boards Coalition, and he served as Vice Chair of the Board of Trustees for the Flagler Hospital Health Care System, Inc., and is a member of the Flagler Health Care Foundation Board. Bill is a member of the Association of the U.S. Army, Veterans of Foreign Wars, Post #2391, along with the Officers Association, American Legion Post # 134, and the St. Augustine Officers Club. Recognitions: While active in the Jaycees, he received district honors for project of the quarter as coordinator for the March for Mankind. He appeared in Outstanding Secondary Teachers of America and was the recipient of the National Honor Society’s Citizenship Award. The St. Augustine Jaycees selected him as Outstanding Young Educator in 1971. In 1993, the Commissioner of Education for the state of Florida presented him with the Commissioner’s Principal Achievement Award for Outstanding Educational Leadership. 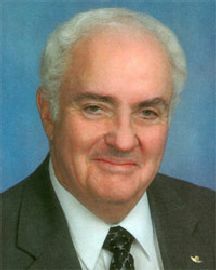 Bill was entered into the Principals’ Hall of Fame in Tallahassee, and in 2002 was awarded the St. Johns County School Board Lifetime Achievement Award. He has also been included in The Who’s Who American Registry.